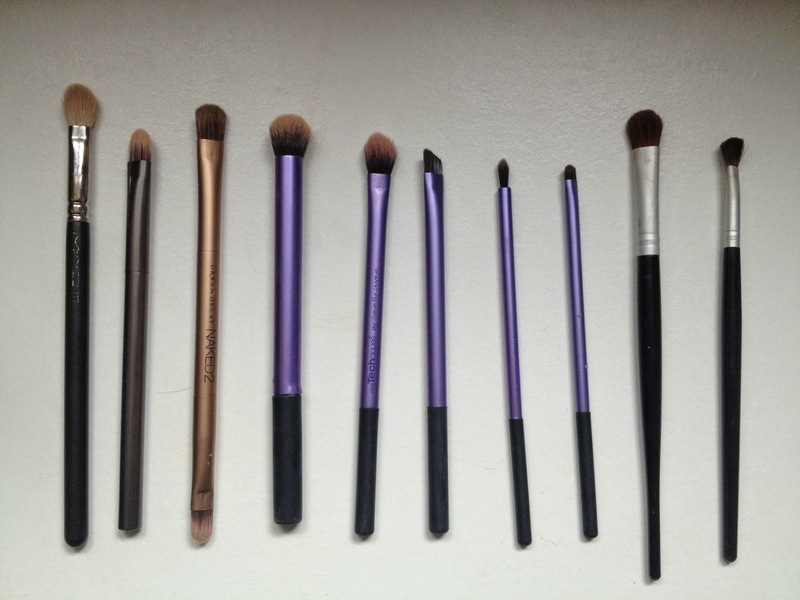 In todays post, I thought I would share my collection of makeup brushes, and also how I look after them. Brace yourselves, it’s gunna be a long ‘un. So those are all my brushes + I have two beauty blenders. I don’t store them here, I store them on my makeup drawers on top of another drawer. It’s easier to just show you. As you can see I keep my brushes in two candle holders, unfortunately I don’t know where these are from as my boyfriend got them for me, I have a feeling they might be from Yankee Candle, but you can store your brushes any way that is best for you. 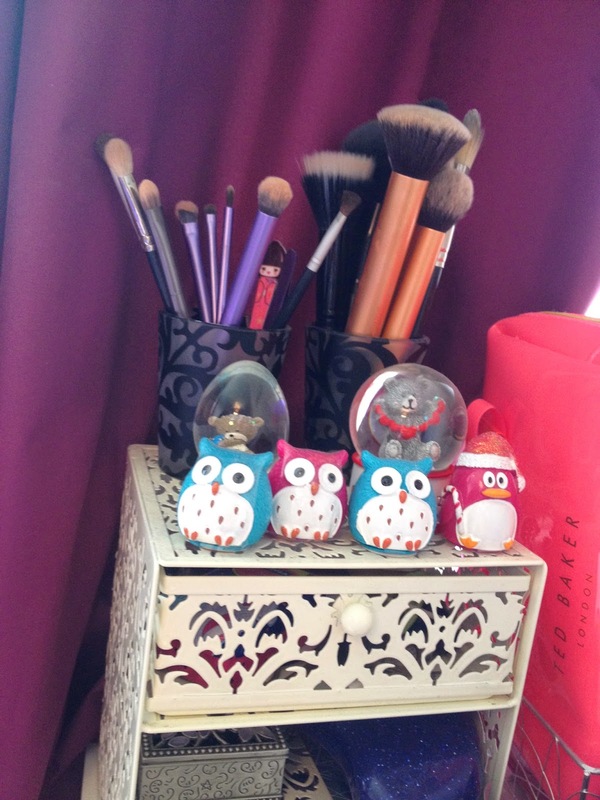 I also have loads of owl lipbalms, and mini snowglobes up there too, just for decorative purposes. My mum got this for me last year, and It is a really high quality brush. It works well for liquid foundations, and it washes well. It is your typical foundation brush. This brush can be used for a variety of different things, but I like using it to blend in foundation, because it does a really good job at that. The Real Techniques brushes really are very good, and I would highly reccomend them. This is a really soft, small tapered brush, which I like to use to contour, so I use it with bronzers. It also works well for blending out concealer, and blush as well. Very multi-purpose. There is a lot of hype around this brush, but personally I prefer the expert face one. I found this works nicely for when I apply too much bronzer, you can blend it out. This also can be used for blending out foundation, I just prefer the expert face one for that. This is a tiny pointed foundation brush, and I like to use it to apply concealer under my eyes, or for blending in concealer. It comes in surprisingly useful! It’s in the name really. I use this for applying blush and it works nicely. It’s really soft, and I haven’t washed it yet as it is quite new, but the other elf brushes I have wash well. Its also really cheap. I originally got this for the purpose of applying foundation, but it isn’t dense enough, so I use it for blush and bronzer now. It’s a good brush, but not for foundation. I use this for applying powder and it works really well. Again, from left to right.. This is my favourite brush. I love it so much, and If I had to reccomend one high end brush, go for this one! It makes blending eyeshadow so so easy, and its so soft. It also washes really well, and overall its incredible. I got this brush with the Naked Palette, and I use it to pack on colour to my lids, or to apply highlighter on my brows and inner corners. This brush came with the Naked 2 Palette, and the side you can see on the bottom, I use for my eye lids, and then the bigger side, I use for applying crease colours. I find it works quite well. I don’t use this for my eyes, I use it to apply concealer, and I find it works really well. I like using this to apply a wash of colour over my eyelids. Its softer than the Urban Decay ones, so it blends it out a bit more. At the moment, I don’t really use this brush as I can’t think of what to use it for, but I am going to try it with gel eyeliner at some point. I don’t use this for eyeliner, I use this when I am trying to get definition in the crease of my eye, and when I wear more dramatic makeup. I also use this on my lower lash line. I love using this to apply eyeshadow on my upper and lower lash lines, because it’s so small, you can be really precise with it. 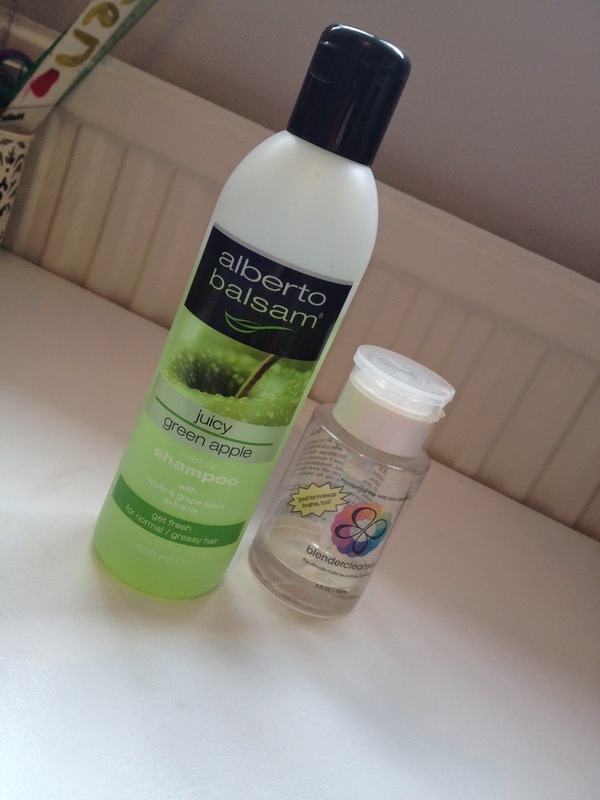 For the majority of my brushes, I clean them with the Alberto Balsam Juicy Green Apple Shampoo. It works really nicely, doesn’t damage the brush hairs, and leaves them smelling nice and fresh. For my beauty blenders, and any foundation brushes, I use the Blender Cleanser because this is much stronger and really cleanses them, which is important for face brushes. I run the brush under warm water, then apply the cleanser to the palm of my hand and swirl the brush around in it. Then, I work the product into the brush, and squeeze out the excess. Pointing the brush down, and avoiding the handle, I rinse through the brush, and leave it to air dry. It’s a very simple method, and if you put some music on, the time goes very quickly! I hope this post was interesting to at least someone! But If you have any better suggestions for cleaning brushes, please leave a comment and let me know! 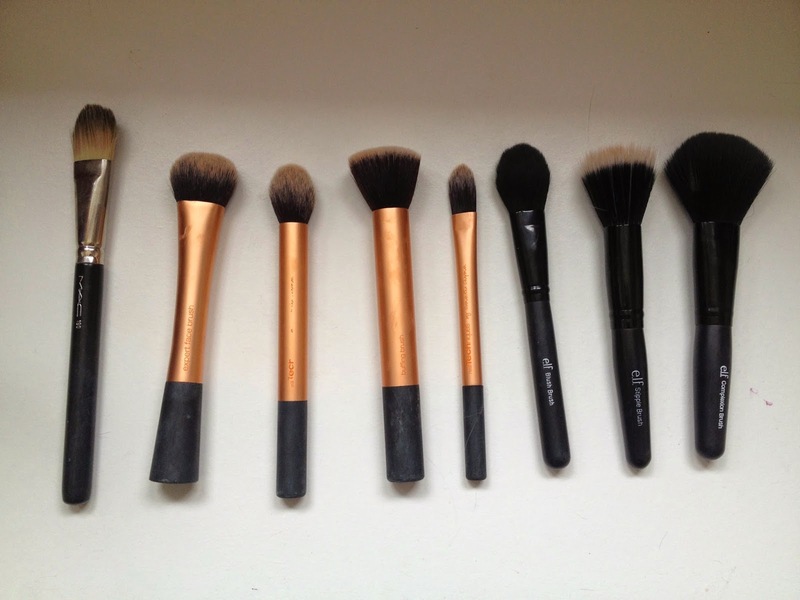 There is a dearth of good brushes here in India. I use RT brushes and have ordered few MUG face brushes. I would love to try out few MAC and Sigma brushes in future.